Within the Realm of a Dying Sun is the third studio album by the band Dead Can Dance. It was released on 27 July 1987 by record label 4AD. 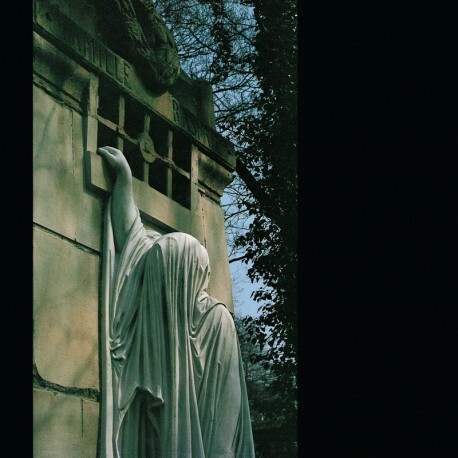 By this time, Dead Can Dance were predominantly a duo of Lisa Gerrard and Brendan Perry, along with Peter Ulrich, after the departure of Scott Rodger and James Pinker in 1987. On the sound of the album, the group commented, "We realised we had been limiting our musical visions [before], relying around guitar, bass and drums. These instruments weren't adequate to express a lot of the things we were hearing". On the making of the album, 4AD label owner Ivo Watts-Russell commented, "I think the relationship between them and [producer] John Rivers was at its peak with [Within the Realm of a Dying Sun]. It's probably my favourite record of theirs". Gerrard's vocals featured prominently on the second half of the album, and her singing style often had mellifluous oriental overtones, especially on "Cantara". The cover's photograph was taken in Paris, at the family grave of François-Vincent Raspail at Père-Lachaise cemetery. Vocals from "Dawn of the Iconoclast" were sampled by The Future Sound of London for their 1991 single "Papua New Guinea". American pop singer Fergie later also sampled "Dawn of the Iconoclast" for her song "Hungry" featuring Rick Ross, featured on her 2017 album, Double Dutchess. The song interpolated the chant with hip-hop beats and vocals from both artists.